Growing serious muscle mass is pretty much impossible without serious pharmaceutical support. We are, of course, talking about the anabolic steroids. After all, let us face it – professional bodybuilders are all using steroids in order to gain mass, lose fat and get to the top of their form. The question is – which steroids are the most effective ones and ones that come with lesser side effects. Well, back in 80s and the 90s, Sustanon used to be the favorite pick of most bodybuilders. In addition, various scientific studies were also marketing that steroid as being one of the most effective out there and praised it for its properties. In truth, nowadays, it has already been proven that Sustanon cannot do anything that any other Testosterone would not do. In fact, it is a mix of four testosterone blends and while it may sound as a win, in reality you will not be able to gain any significant advantages over the standard testosterone solutions. Now, granted, Sustanon will allow you to gain muscle mass – generally speaking, one course of Sustanon will get you about 5-6 kilos of muscles. But it is exactly the kind of mass that you could gain on any other Testosterone as well. Numerous modern studies clearly demonstrate that there are plenty of far superior steroids that will gain you the mass you want quicker and without as much trouble. 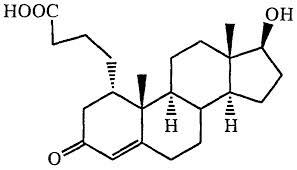 Furthermore, do not forget that there are plenty of fake Sustanon solutions out there. For instance, there are many Sustanon 250 packages that are fake because they are not kept in glass and are instead sealed in boxes. Regardless of whether you are a professional bodybuilder or perhaps are looking for your very first anabolic solution, odds are, you will want to look some more for something more reliable and less invasive. After all, the side effects of Sustanon can be quite impactful, especially if you were taking it in high dosages. And yes, the only true benefit of this anabolic steroid is the fact that you do not need to use it often in order to gain results. Once every couple of weeks will do fine for that steroid. Therefore, if you are in search of something special, something balanced and something that will help you reach your fitness goals quicker, perhaps you should consider other options or replace Sustanon with any other Testosterone formula.